The leader commands CHECK EQUIPMENT. All crewmembers repeat the command and inspect the components. The equipment is inspected and verified by the following crewmembers. (1) The indexing levers and clamps on the front and trail legs work, and that the legs are in the "short (low)" position. (2) The front leg is placed at a 60-degree angle and the trail legs are closely folded and the front leg clamp is tight. (3) The sleeve lock latch and pintle lock release cam work. (4) The pintle bushing is clean and has no burrs. (5) The cradle pintle is clean, and all pins and bolts are seated. (6) The T&E mechanism is centered. (1) The weapon is clean. (2) The bolt is forward, the top cover is closed, and the weapon is on S (SAFE). (3) The charger handles are forward and locked in the "up" position. (4) The binocular lenses are clean and the focus mechanism works. (5) The compass magnetic arrow and bezel ring work freely. (1) The correct type of ammunition is on hand. (2) The ammunition can is dent-free. (3) All ogives are tight and the ammunition is clean. (1) The ammunition bearer reports "Ammunition correct," or any defects. (2) The gunner reports "Gun and ammunition correct," or any defects. 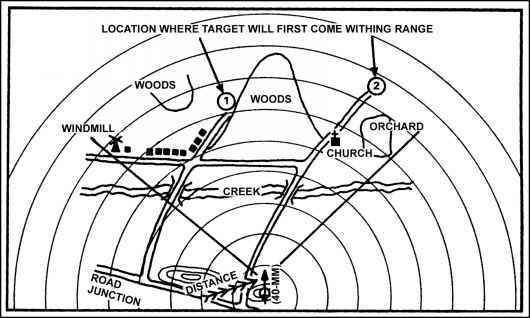 (3) The assistant gunner reports, "All correct," or any defects.